Support provided by corporations and businesses allows for the development and implementation of SCORE programs, projects and resources. Great Southern’s mission is to build winning relationships with its customers, associates, shareholders and communities. On any given day, we are hard at work helping young families realize the dream of home ownership, helping a business owner expand his or her business, or providing the right product or service to help an individual save for a future goal. Minorities In Business is a business association designed to promote economic development and business opportunities through advocacy, networking, and capacity-building for minority businesses and entrepreneurs. We also serve as a board and employment referral service for the larger business community. 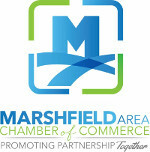 Marshfield Area Chamber of Commerce, Marshfield, MO. Promoting Partnership Together. Discover Marshfield. The Mission of the Nixa Area Chamber of Commerce is to promote growth and development of business that will enhance the community as a desirable place to live, learn, work, shop and play. Each year, the Chamber of Commerce produces events that help attract visitors to the Branson area, while also providing an opportunity for the community to recognize those who have dedicated themselves to others. The mission of the Springfield-Greene County Library District is to improve and enrich the lives of our users through information, education and recreation. The Library values the citizens of Greene County and responds to their needs by providing clean and inviting buildings, well-organized and up-to-date collections, friendly professional service and well-trained staff who are committed to the Library vision. Small Business Majority is a national small business advocacy organization, founded and run by small business owners to ensure America's entrepreneurs are a key part of an inclusive, equitable and diverse economy. We actively engage small business owners and policymakers in support of public policy solutions, and deliver information and resources to entrepreneurs that promote small business growth and drive a strong, sustainable job-creating economy.